Troy Bayliss Events will bring an all-new venue and race format to Round 4 of the Australian Supercross Championships in South Australia. Three-time World Superbike Champion Troy Bayliss and his events company Troy Bayliss Events will bring an all-new venue and race format to Round 4 of the Australian Supercross Championships in South Australia. 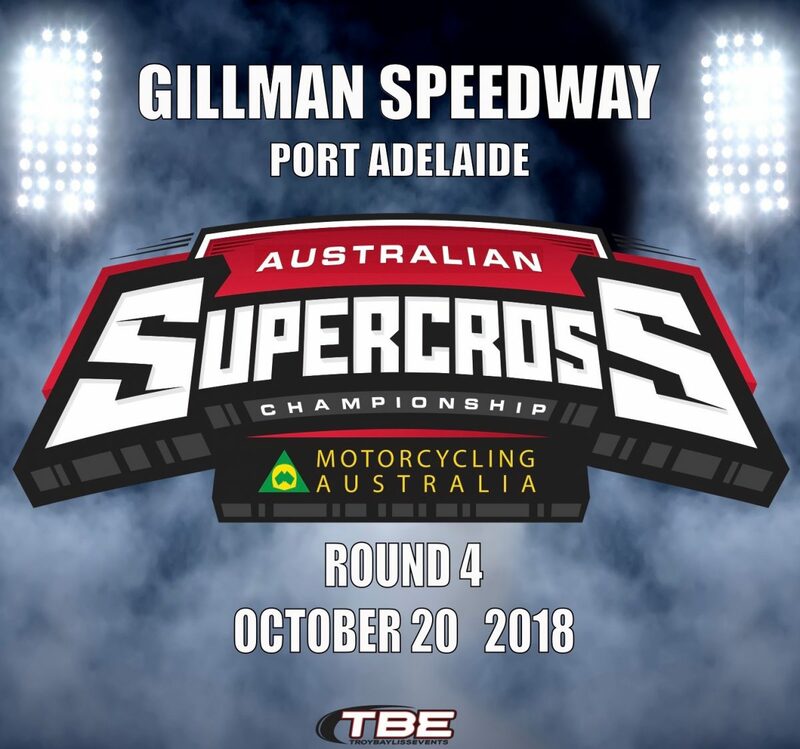 Gillman Speedway has been selected to host the South Australian round of the 2018 SX Championship on Saturday, October 20. Situated within the Port Adelaide precinct, just 13km from the heart of Adelaide, the venue is set to excite Supercross fans with plenty of action on offer. “Our team is looking forward to a huge night of racing and entertainment coming to Gillman Speedway, the atmosphere will be electric with every Supercross fan located just meters from the action,” Bayliss said. “We are excited to announce the Triple Crown Format will be featured for the first time in South Australia ensuring fans see the best riders compete in exciting bar-to-bar action all night long. “A big night of additional motorsport entertainment will be announced in coming months, I don’t want to give too much away just yet but I can’t wait to put a helmet on in front of the expected sell out crowd and I have a few friends keen to come and join me,” Bayliss added. Reigning Australian Supercross Championship Justin Brayton has confirmed he will compete at Gillman for Round 4 with the American rider representing Penrite Honda as he chases yet another Australian Title. A massive 5500 tonnes of dirt will be moved into the arena transforming the usually flat speedway circuit into a paradise of jumps for Australia’s best Supercross riders. The main event will begin at 6 pm with gates opening at 3 pm and a special Pit Party will take place between 3:30 pm – 5 pm allowing fans to rub shoulders with their supercross idols. A number of support race categories will be included in the program to ensure the future stars of supercross can race in front of big crowds alongside with their heroes. Tickets to this event are only available online and are expected to sell out fast. Arenacross Riders – Gillman Speedway & Motocross Riders Association will also host an Amateur Arenacross within the Speedway on Sunday 21st for riders looking to compete on a redesigned track.